On October 5, thirteen visitors from the Agency for Cultural Affairs’s “Project to Encourage Active Use of Museums” visited the Institute in order to view work involved in the conservation and restoration of cultural properties. They toured the Physics Laboratory, the Chemistry Laboratory, and the Biology Laboratory in the Center for Conservation Science and Restoration Techniques. This year marks the 46th public lecture series of the Department of Art Research, Archives, and Information Systems. Lectures on the topic of Dialogues on Objects and Images were given in the Institute’s basement seminar hall starting at 1:30 PM on both October 19th (Fri.) and 20th (Sat.). Cultural properties and artworks are immobile objects that engender vivid imagery in people’s minds. With this in mind, the lecture series seeks to inform more people of new information about the Objects and Images they encounter every day. 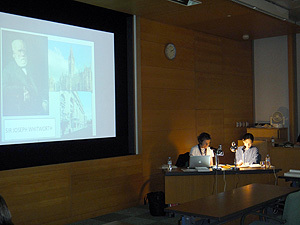 Presentations were made by PAI Shih-ming, an Associate Professor at National Taiwan Normal University (on the 19th, entitled Firsthand Experiences from Ueno Modern to Modern Culture: The modern Japan that CHEN Cheng-po encountered) and MARUKAWA Yuzo, an Assistant Professor at the International Research Center for Japanese Studies (on the 20th, entitled The Lines and Dots of Art History that Engender Mental Associations: What can be gleaned from archives). 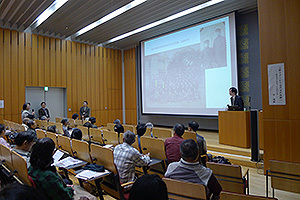 Presentations were also made by YAMANASHI Emiko, Assistant Director of the Department of Art Research, Archives, and Information Systems (on the 19th, entitled Painters who Depicted the Mausoleum of the Tokugawa Shoguns) and TANAKA Atsushi, Director of the Department of Art Research, Archives, and Information Systems (on the 20th, entitled October 20th, 1912: Ueno & Art) from the Institute. Despite the great weather on both days, lectures on the 19th had an audience of 96 and lectures on the 20th had an audience of 80. 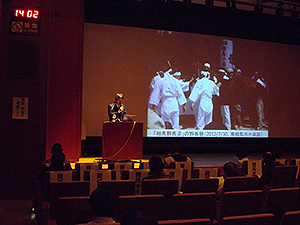 The National Research Institute for Cultural Properties, Tokyo has conducted joint studies of Filmon sound-belts with the Tsubouchi Memorial Theatre Museum, Waseda University. Some of the results of those studies were previously reported in the March 2011 edition (Vol. 5) of Research and Reports on Intangible Cultural Heritage. 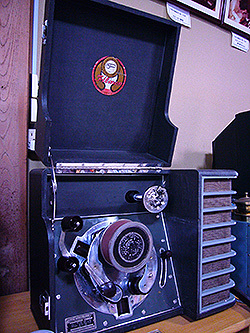 Filmon endless sound-belts are a special type of audio recording medium (record) developed in pre-war Japan. At the time, the most ubiquitous records were 78 rpm records that had an average recording time of about 3 minutes. In contrast, Filmon sound-belts could record performances of 30 minutes or longer. These sound-belts were a ground-breaking invention, but they were produced only for a short period from 1938 to 1940. Moreover, they required a special player, so after the war they were soon forgotten. Only a few sound-belts and players have survived until today. About 120 types of sound-belts appear to have been sold. When the report mentioned earlier was written, 85 types were thought to have survived. Late last year, information became available that Myogan-ji Temple in Niigata Prefecture (Maki Ward, City of Joetsu) had a number of sound-belts in its collection, so the sound-belts were surveyed in October with the assistance of the Temple’s chief priest, IKENAGA Fumio. The survey found 49 types of sound-belts in the collection, and 16 of these types had not been seen before. Moreover, few portable players remain, but the Temple had one in working order. The survey was also a major milestone in terms of on-site studies. The sound-belts in Myogan-ji Temple’s collection consist of a number of public performances, most of which are Rokyoku or recited stories accompanied by music. According to the Temple’s chief priest, the Temple’s former chief priest, the late IKENAGA Takakatsu, fashioned a setup for wire broadcasts on the main building of Myogan-ji Temple (broadcasts started in 1937) because the region had little entertainment (it currently takes about an hour to reach the Temple by car from the JR Takada Station, which is the closest station). 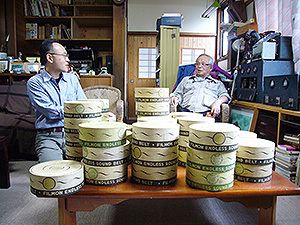 Apparently, the late IKENAGA Takakatsu bought large numbers of recordings to broadcast (primarily in the form of long recordings on Filmon sound-belts) along with players. Several broadcast facilities from that time still remain. The collection is also a wealth of material in terms of the history of folk culture in the region. Through various seminars and workshops, the Center for Conservation Science and Restoration Techniques provides information on knowledge and skills to individuals working to conserve materials in museums, art museums, and archives. The Local Workshop on Materials Conservation is conducted once a year in a specific region. Scheduled for 1 day, this workshop is for conservation specialists in that region. This year, the workshop was held in conjunction with the Committee of Okayama Prefectural Museums at the Okayama Prefectural Museum of Art on October 16th. The workshop had 56 attendees. 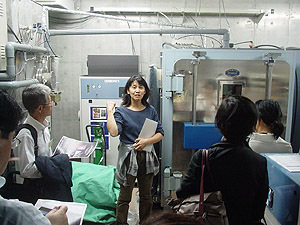 Lectures were given by SANO Chie (Head of the Conservation Science Section), SATO Yoshinori (Researcher in the Biology Laboratory), and YOSHIDA Naoto (Senior researcher) from the Center, and these lectures covered topics such as General Theories on Conservation Conditions, Temperature and Humidity, Climate Control, Light and Illumination, and Pests. 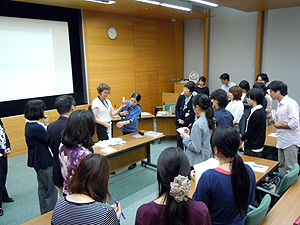 The workshop was well-received even by individuals who were unable to attend the 2-week Training for Museum and Art Museum Conservators conducted by the Center each year in Tokyo. The lectures tended to discuss topics such as recommended conservation conditions and facilities, but the question “What if we don’t have such a facility?” was often raised. Clearly, individual museums and art museums have their own unique conditions, so offering a single answer to that question is difficult. With this in mind, Center personnel will strive to enhance their usual research and formulate answers in response to different situations. 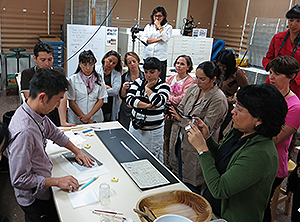 Training in the Conservation of Japanese Paper in Latin America was conducted jointly by the Institute, ICCROM, and INAH (Mexico’s National Institute of Anthropology and History) as part of the ICCROM-LATAM Program (conservation of cultural heritage in Latin America and the Caribbean). Training took place at the INAH from October 17th to 30th and was attended by 12 experts in restoring cultural properties from 9 countries: Venezuela, Cuba, Ecuador, Brazil, Peru, Columbia, Argentina, and Mexico. Training sought to provide attendees with basic knowledge of traditional Japanese paper, adhesives, and tools. It also sought to enhance attendees’ understanding of Japanese mounting and repair techniques by having them practice reinforcing, mending, and attaching a backing using actual Japanese paper, adhesives, and tools. 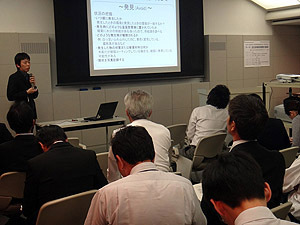 The first half of the training consisted of lectures by Japanese experts on materials and tools used in mounting and repair techniques and then practice by the attendees. 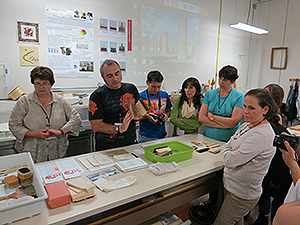 In the latter half of the training, lecturers from Mexico, Spain, and Argentina with experience conserving works using mounting and repair techniques described how Japanese materials, tools, and techniques were actually used to restore cultural properties in Europe and the US, and then attendees practiced those techniques. Given the likelihood that Japanese mounting and repair techniques will be used to conserve cultural heritage in different countries, plans are to conduct similar training sessions in the future as well. 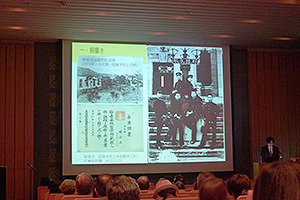 On October 19, 2012, the Japan Center for International Cooperation in Conservation organized a lecture by Ms. Ann French, collections care manager and textiles conservator of the Whitworth Art Gallery, University of Manchester entitled “The Ancient, the Historic and the Contemporary: The Textile Collections of the Whitworth Art Gallery, and their Conservation.” Since its founding in 1889, the Art Gallery has amassed a host of textile objects ranging in date from the 3rd century AD Egypt to contemporary Japanese textiles. Ms. French described the Art Gallery’s textile collection as a reference for textile techniques and design. Ms. French cited examples of innovative methods of display and storage used to make the collection’s 20,000 textile pieces accessible to researchers as well as school children. Ms. French also answered questions about the conservation of Japanese kimono, fabric scraps, and paper patterns, which led to an active discussion with the audience. Despite the specialized nature of the lecture, many people attended. The Center hopes to continue such lectures to share information on the conservation of cultural heritage abroad.